The Russians know a thing or two about snow, so in honor of our new winter wonderland, here are some selections from Nikolai Rimsky-Korsakov‘s 1881 opera The Snow Maiden. Here is Estonian soprano Margarita Voites singing an aria on TV in 1977. Going further back, here’s Alma Gluck, a Romanian-born American soprano who was one of the world’s most famous singers at her peak around 1910. 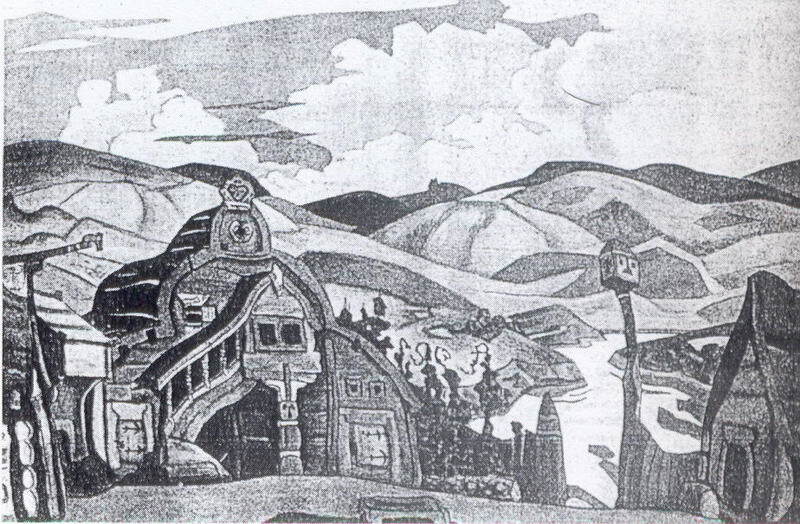 The painting up top is by Russian artist Nicholas Roerich, who designed sets and costumes for a production of The Snow Maiden (click here for other designs from that production). He was a real renaissance man, traveling the world, advocating for preservation of art during wartime, and a frequent Nobel Peace Prize nominee. If you’re in New York, he has a small, free museum on the Upper West Side, on 107th Street just off Riverside Drive. Well worth a visit. Apparently a blizzard is heading our way, so in anticipation of all this crippling of infrastructure and shutting down of cities, let’s have some themed blog posts! Starting with the only opera I can think of with “blizzard” in the title, A Blizzard in Marblehead Neck by Jeanine Tesori with libretto by Tony Kushner. Premiered at Glimmerglass summer opera festival in 2011, it reunited the team, who had previously worked on the critically acclaimed through-composed musical Caroline, or Change. This opera tells the story of Eugene O’Neill getting locked out of his house during a fight with his wife in the middle of a blizzard. Scary prospect. It was commissioned to be a double-bill with John Musto‘s 2007 Later the Same Evening, inspired by the paintings of Edward Hopper. In fact, Tesori and Kushner were asked to make their opera about another American artist to match up. Haven’t heard much about either of these since 2011, which seems unfortunate. Anyway, stay warm and dry this weekend!